Fans of luxury Swiss watch maker IWC could now get instant updates on new watches and their features from the Internet using a new iphone application launched recently. The programme can be downloaded for free from the Application Store in six different languages. Using the Application, one could use the Try-it function to take photos to see how various watch models look on their wrist. Another impressive function of the Application is to make it much easier to search for the nearest authorized IWC retailer i.e. users can use the Application to guide them from their current location to the most convenient IWC retailer. The IWC Application is available in English, French, German and Italian as well as Japanese and Chinese (simplified). 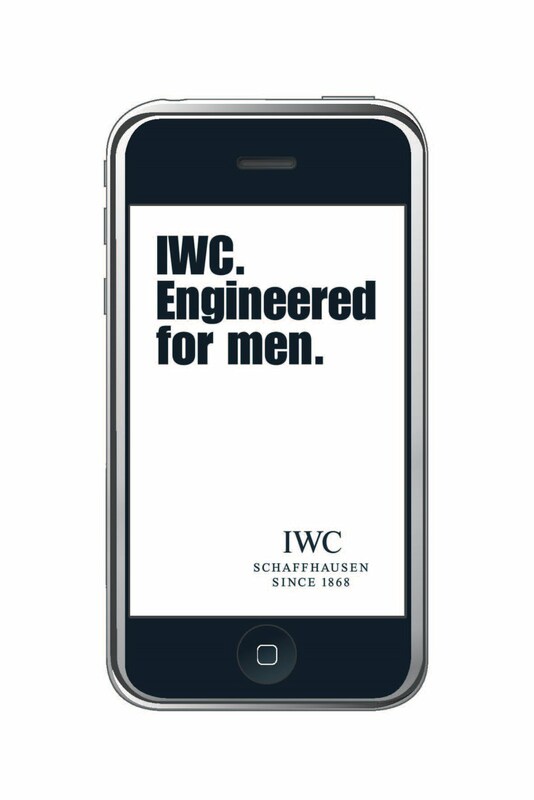 With the IWC iPhone Application, users now have simple, direct access to all the main content on the IWC website and can discover a wealth of interesting details about the collection. Digital animations explain complex mechanisms such as the depth gauge on the Aquatimer Deep Two or the digital calendar on the Da Vinci Perpetual Calendar Digital Date Month. The Portuguese Automatic's power reserve can be wound up virtually while the Portuguese Perpetual Calendar shows the moon phase for the next few days. Chronograph can be pushed to record stopped times. IWC Application users can likewise listen to the minute repeater chime out the time and view prize-winning movies about products in the various watch families. "The IWC Book of Dreams" takes viewers on a magical journey through the IWC Vintage Collection. Also featured is another recent award-winning film, "Galapagos - A Day with the Charles Darwin Foundation". This provides an insight into the work of the scientists and researchers with the IWC-sponsored Foundation and conveys the beauty of this unique archipelago together with the newly launched Aquatimer collection. The IWC Application contains much more than just the history of IWC: it also provides information about the company's commitment to the environment and society as well as the various partnerships it has entered into and the special watch editions that go with them.